Exhausted of the "dinner and movie" standard of Valentine's Day date options? Look no farther for a date that's sure to spark a connection! 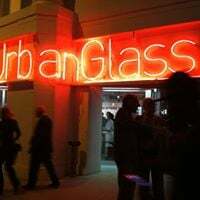 In this one night, three hour flame-working class, students will be shown the basics of what it means to have a solid connection in glass. Come make your own heart themed sun catcher and join us for a night rooted in fire and fun!